"A magnificent residence of the royals once and now a luxurious hotel, Ranvas portrays the interesting climax of Jodhpur's heritage. The massive Ahhichatragarh Fort, which spans on a sprawling 35 acre of decorated halls, temples and gardens, was the abode of the royal Jodhpur family in the 12th century. Likewise, in todays' times in the form of Ranvas heritage hotel, it serves its elite travelers. 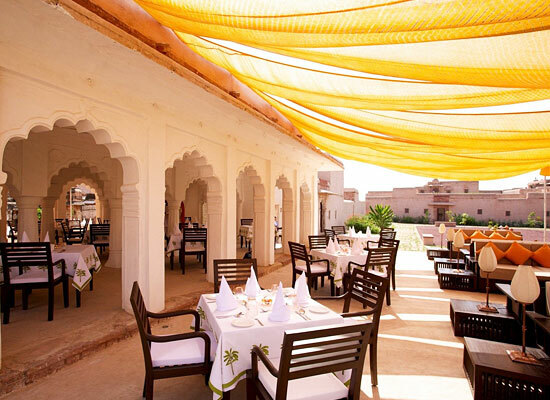 Located in the town of Nagaur in the central region of Rajasthan, Ranvas have lavishes and heritage of the royals mixed in the rural and authentic elements of the state. 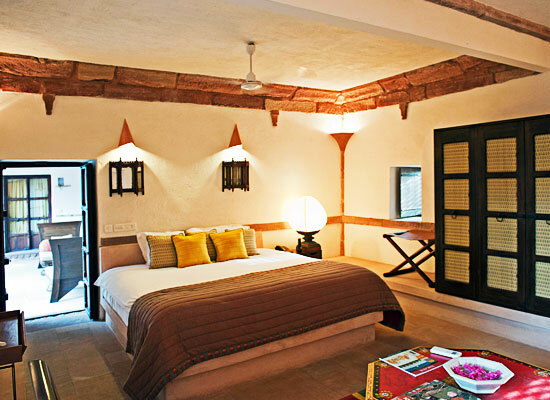 The rooms are in the form of Havelis and have private courtyards to accompany with, thereby making the stay highly unique for the modern travelers. 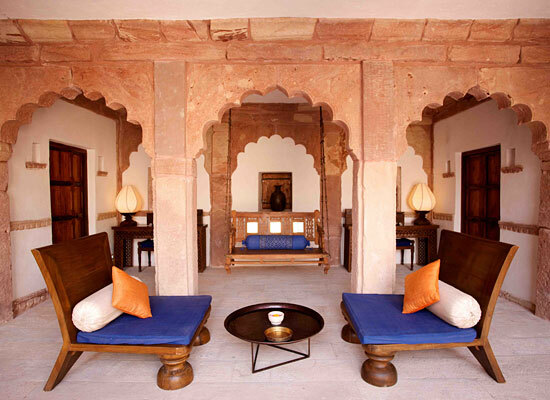 In the shade of luxury, art and heritage, guests at the Ranvas are treated just like the royals. Ahhichatragarh fort was originally built in the 4th century by the Nagavanshi clan. Later on, the structure was rebuilt by the Ghaznis in the 12th century. Since then, the ownership of it went from one hand to another. This culminated in the final structure being a promising example of Rajput-Mughal architecture that has gardens, palaces and temples all in its complex. It was in the 18th century when the fort became the residence of the several queens of Maharaja Bakhi Singh of Jodhpur. By the advent of modern times, the majestic fort got converted into a heritage hotel and is now named as ‘Ranvas’ (Abode of the queens). Guests at the luxurious Ranvas hotel can enjoy mouthwatering cuisines, which are an interesting mix of European and Indian. Then they have a very special mention about the culinary delights, straight from the Queen’s kitchen. 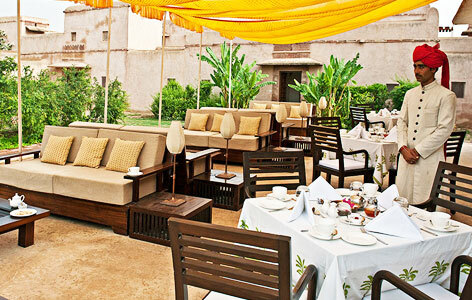 Besides the in-house restaurant known as Baradari serves some of the best world dishes all day. Junglee Maas and Rabori Kanda are some of the prime Rajasthani delicacies which you can expect at the eating spaces of Ranvas. The hotel also has the facility of private dining, which can be arranged at the private courtyards or the rooms of the guests. Nagaur in the state of Rajasthan is a historic city that is known for its enchanting structures that majorly talk about forts and palaces. 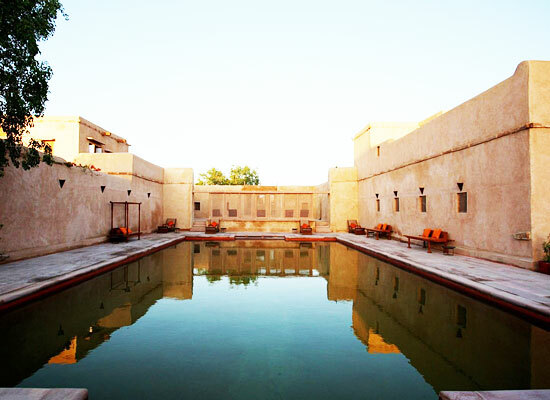 Some of the most popular of them are Nagaur fort, Deepak Mahal, Akbari Mahal and Rani Mahal. Besides, exquisite temples like Bansiwala temple and Jain Glass temple are also amongst the must visit attractions.